I love traveling but each time I come home I sleep like a baby on my mattress from 2 Brothers Mattress. I have been looking for a store that would be straight forward with me about price and quality. The salesman helped me pick out the right bed for my situation. I would highly recommend 2 Brothers Mattress. They also delivered our bed very quickly and set it up and took away our old bed. Good selection of Tempur-Pedic and Serta. We went with Tempur-Pedic. The salesman was knowledgeable and not high pressure. We're sleeping a lot better. My friend finally convinced me to trade in my old firm twin for a new queen. We visited a lot of places, but 2 Brothers Mattress was the one store that didn't make me feel like it was all about a commission. It looks small on the outside, but don't be deceived. They have some of the best mattresses money can buy without a ridiculous price tag. I ended up getting a local Utah brand mattress, the Serenity series (I think Diamond is the brand? ), and I think it's better than most national brands. I believe they have another store in West Jordan if this one is too far for you, but if you're shopping for a mattress you must stop by this place. Great company, awesome prices. Easy to work with and they offer No Credit Check with a 90 days! Your mattress is one of the most important purchases you make in a lifetime—after all, it’s something you will use for at least 6 to 8 hours out of every day for the next 7-10 years or more—so buying the right mattress from the right store is important. When you’re ready to start getting the most comfortable sleep of your life, start at 2 Brothers Mattress, the mattress stores in Salt Lake City, Utah where you know you will get great value, friendly salespeople, a wide selection from all the leading mattress brands, and great products. At 2 Brothers Mattress, we know that there is no “one size fits all” bed, and everyone’s sleep needs are unique. Whether you prefer Latex, innerspring, gel or memory foam mattress, and you’re looking for firm, medium, or soft, we have a wide selection of mattresses that can provide you with the comfort and value you expect. Some mattress stores in Salt Lake City will only sell one brand of beds, but we want to have the best selection in a range of prices to meet every budget, so we carry mattresses from all the leading brands, including Tempur-Pedic, Serta, iComfort, Stearns & Foster, intellibed, and more. You can find a wide selection of mattresses that are perfect for even the most discerning sleep customers in one of our huge showrooms throughout Utah. Great Value Whether you are looking for a basic bed on a tight budget, or you want to indulge in the ultimate luxury, we have a bed that can satisfy your need for great sleep and for saving money. 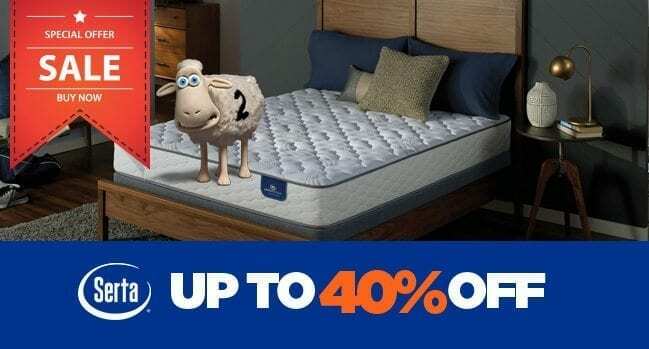 We want everyone who walks through our doors to find the bed of their dreams, and we will do what we can to help make it possible for you, including offering free delivery over $499 and financing options up to 60 months OAC. Exceptional Service Our friendly and knowledgeable salespeople are ready to make your experience shopping for a new mattress as easy and hassle-free as possible. We don’t believe in high-pressure tactics that could result in the purchase of a bed that’s not quite right for you. 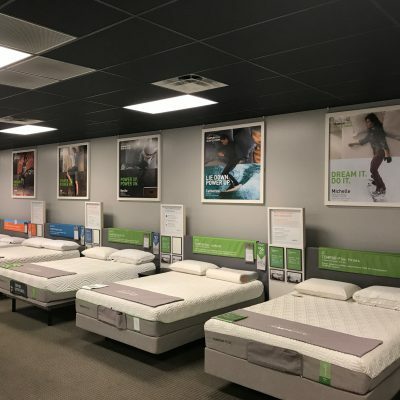 Instead, our sales associates are available to help you narrow down the best possible bed, whether you’re shopping in our mattress store in Orem, Salt Lake or any of our other locations along the Wasatch Front.